Is This The Solution To A Charging Station For Battery Trains? This page on the Opbrid web site has a main title of Automatic High Power Charging for Buses, Trucks, and Trains. It also has a subtitle of Furrer+Frey Opbrid Charging Stations for Battery Trains. Furrer + Frey are a Swiss railway engineering company, that design and build railway electrification systems. The web page gives this introduction. Since 2009, Furrer+Frey has developed a multi-modal ultra high power charging station for battery-powered vehicles that is already radically changing the way traction power is delivered to road and rail vehicles. In particular, the Furrer+Frey Railbaar system targets existing low traffic diesel traction routes as well as new light rail and tram projects. The technology applies to battery powered trams and trains (Railbaar), buses (Busbaar) and trucks (Trukbaar) with a design rooted in proven Swiss electric rail technology already successfully deployed by Furrer+Frey across Europe and the world. The web page has an interesting image for a Swiss company. Shown is a Class 379 train, at a station, which I’m pretty sure is Cambridge. Liverpool Street to Cambridge is a fully-electrified route, so why would a charging station be needed on this service? So I suspect, it’s just that to illustrate the web page, they needed to use a train that had the capability of running under battery power, which the Class 379 did in the BEMU trial of 2015. It could also be that Furrer + Frey are working with Bombardier and it’s a Bombardier library picture. But then Furrer + Frey probably work with all the major train manufacturers. And as Bombardier have just released a new battery train, that I wrote about in Bombardier Introduces Talent 3 Battery-Operated Train, it would be logical that the two companies are working together, as battery trains will surely need charging in stations to develop longer routes. Note the blue box in the middle of the picture. It says. If you download the white paper, you will find a very comprehensive and detailed description of how battery trains could be charged in stations. This is the introductory paragraph. trains on non-electrified rail lines. Often there is not enough traffic on these lines to justify the expense of erecting overhead line equipment (OLE) along the track. In many cases, the train runs under OLE for part of its route where the battery train can charge via its pantograph. However, sometimes additional charging is required. 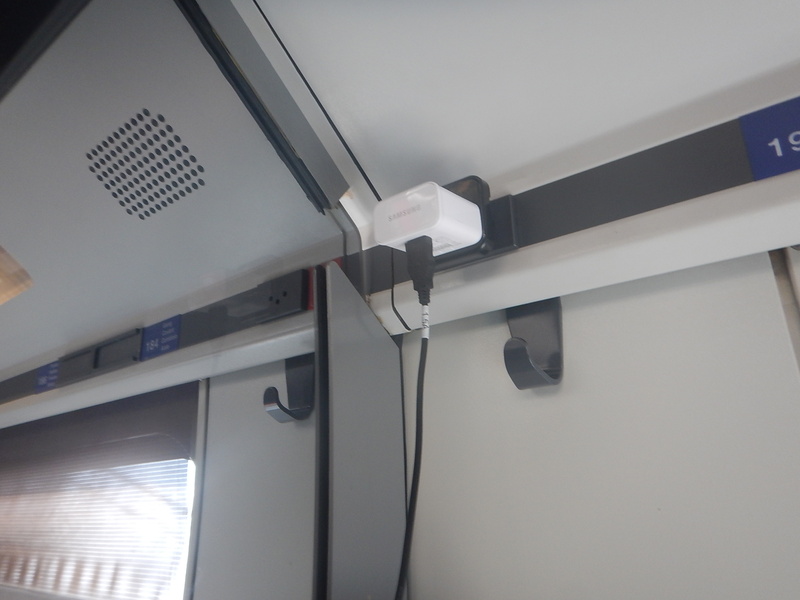 While it is possible to erect additional kilometers of OLE for charging, it is more cost effective to charge the train via pantograph while stopped at a station using a very short length of overhead conductor rail and a 25 kV power supply. I will now try to explain the solution. The white paper gives this physical description of the solution. The physical structure of the charging station is quite simple. The design seems to use readily available components. What Is Overhead Conductor Rail? This picture, that I took on the Thameslink platforms at St. Pancras station, shows the overhead conductor rail, used to power the trains. 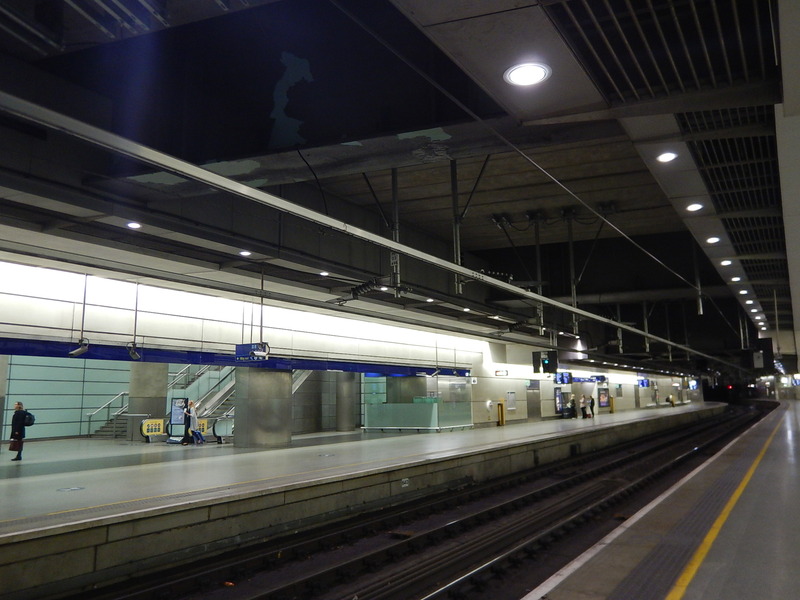 St. Pancras is one of the best places to see overhead conductor rail in London, although overhead conductor rail will be used by Crossrail in the tunnels. How Would Overhead Conductor Rail Be Used To Charge A Train’s Batteries? A short length of such a rail, would be mounted above the track in the station, so that it could be accessed by the train’s pantograph. The rail would be positioned so that it was exactly over the train track, at the height required by the train. What Voltage Would Be Used? The normal overhead voltage in the UK, is 25 KVAC. There is no reason to believe that any other voltage would be used. The overhead conductor rail/pantograph combination has a lot of advantages and benefits. The overhead conductor rail is a standard Furrer + Frey product and it can be supported in any of the appropriate ways the company has used around the world. 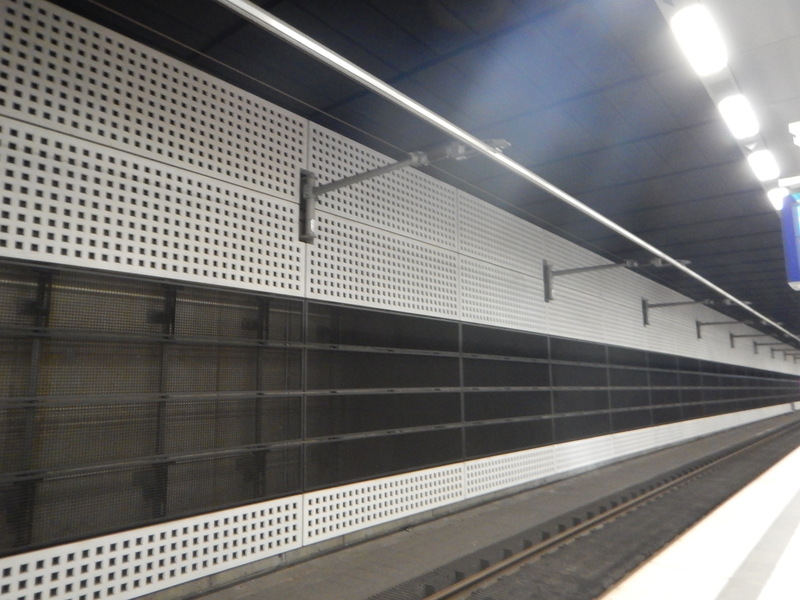 This picture shows conductor rail fixed to the wall in Berlin HBf station. 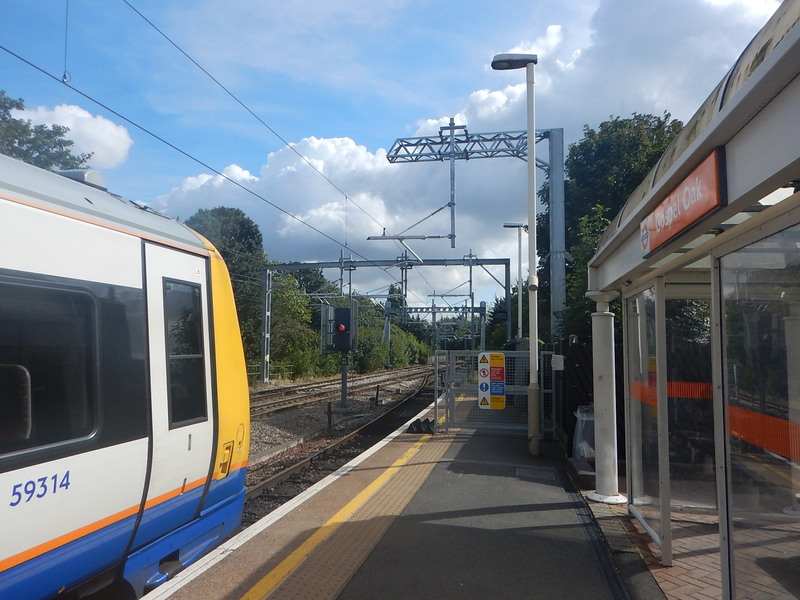 Or it could be fixed to gantries like these at Gospel Oak station, which carry normal overhead wiring. Note that gantries come in all shapes and sizes. There is probably a minimum length, as although drivers can stop the trains very precisely, a few extra metres will give a margin of error. But there is no reason why at a through platform on a line served by battery trains, couldn’t have an overhead rail, that was as long as the platform. The pantograph on the train, that collects the current from the overhead conductor rail can be an almost standard unit, as it will be doing the same job as it does on electrified sections of the route. The white paper goes into this in detail. As in the UK, our overhead line voltage is 25 Kv, the train can receive 1 MW with a current of 40 A, which is probably low enough to be below the limit of the conductor rail/pantograph combination. This would allow around 80 kWh to be transferred to the train in a five minute charge. Could Trains Use Two Pantographs To Charge Batteries? The white paper says that the system could handle more than one train, if the overhead conductor rail was long enough. Bombardier’s Class 345 trains are effectively two half-trains, which each have their own pantograph. So could a train use both pantographs to charge the batteries? The train would probably have a sophisticated control system to automatically raise and lower the pantograph, so as to maximise the charge, whilst the train was in the station. The overhead conductor rail would be no closer to passengers and staff, than overhead wires and conductor rail are at any other station platform in the UK. I also suspect, that the power to the overhead conductor rail would only be switched on, if a train was being charged. 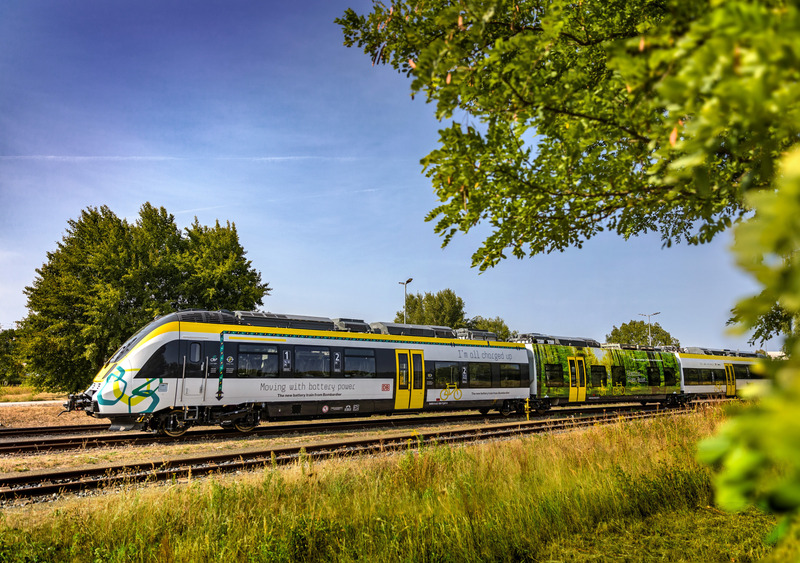 One application of battery trains is to use them on a branch without electrification from an electrified line to a simple station in a town, housing or commercial development or airport.. The terminal stations would be very simple and surprisingly similar. An overhead conductor rail on gantries, a wall or some other simple support. A power supply for the overhead conductor rail. A station building,, shelters and information displays could be added to the solution or designed specifically for the location. Solutions for a wide range of countries would only differ in a few areas. The height of the platform. The gauge of the track. The overhead conductor rail voltage. But I do believe that in this example of a standard system, there will be surprising commonality across the world. As the white paper identifies, there is at least one tricky problem. Providing high-quality, reliable high-voltage supplies may not always be that easy in some areas, so innovative electrical solutions will certainly be needed. One solution suggested in the white paper involves using energy storage and then creating the 25 KVAC to power the overhead conductor rail. I like this solution, as there are many applications, where these forms of independent power supplies are needed to power industrial premises, villages and equipment like flood pumps, often in remote locations. They could also incorporate a wind turbine or solar panels. Someone will develop these systems and providing 15 or25 KVAC will be just another application. I will add the conclusion from the white paper, as it says it all. I am sure, we’ll see a lot of uses of this simple and efficient method of charging battery trains. Finding gluten-free snacks was difficult in Switzerland, but I did find these. I bought this pair at Geneva Airport on the way home. 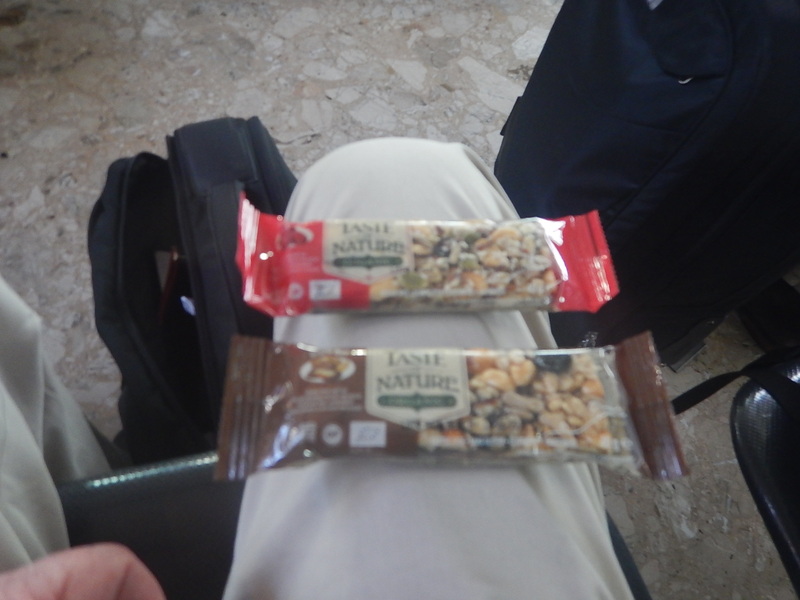 They were very similar to some Eat Natural bars. I usually take about two UK bars for each day of travel. 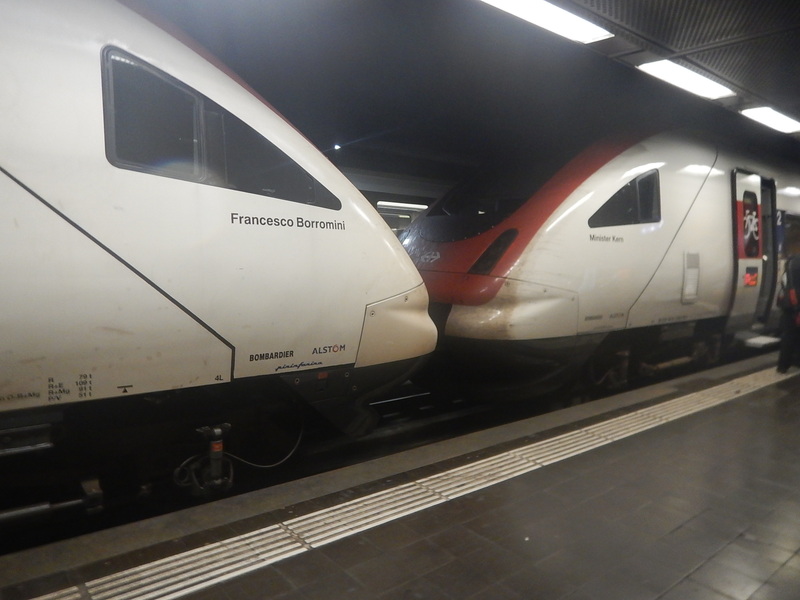 Unlike most countries, a high proportion of Swiss trains seemed to have names. I like the idea, but there was no explanation on the trains, as to who these people are or were. I didn’t find a Swiss train with well-designed designed charging points. I did find a few and they seemed to be for three-pin plugs and high-up above the window. My adapter has only two pins and kept falling out, as my phone cable wasn’t long enough to place the phone on the table or the seat. In the end, I put it in my top pocket to get it charged. It was a bit difficult to use, as there wasn’t enough space for me in the pocket. I didn’t see a USB port on any train. In my view these are the way to go, as they will work for all users, from every country. The title of this post, is the same as that of this article in the International Rail Journal. Alstom confirmed on September 11 that it is working with British rolling stock leasing company Eversholt Rail to refit class 321 EMUs with hydrogen tanks and fuel cells for hydrogen operation, in response to the British government’s challenge to eliminate diesel operation on the national network by 2040. Other points about the conversion of Class 321 trains include. Alstom will convert trains in batches of fifteen. The first trains could be ready by 2021. Up to a hundred trains could be converted..
A range of up to 1000 km on a tank of hydrogen. A maximum speed of 160 kph. The article also suggests that the Tees Valley Line and Liverpool to Widnes could be two routes for the trains. A few points of my own. Fifteen is probably a suitable batch size considering how Class 769 trains have been ordered. Hydrogen is produced in both areas for the possible routes and could be piped to the depots. In Runcorn it is plentiful supply from the chlorine cell rooms of INEOS and that company is thinking of creating a pipeline network to supply the hydrogen to users with high energy needs. As the maximum speed of the hydrogen train is the same as the current Class 321 trains, I would suspect that it is likely that the hydrogen-powered train will not have an inferior performance. I’ve now travelled in Class 321 Renatus trains on three occasions and in common with several passengers I’ve spoken to, I like them. I hope the Class 321 Hydrogen trains have as good an interior! 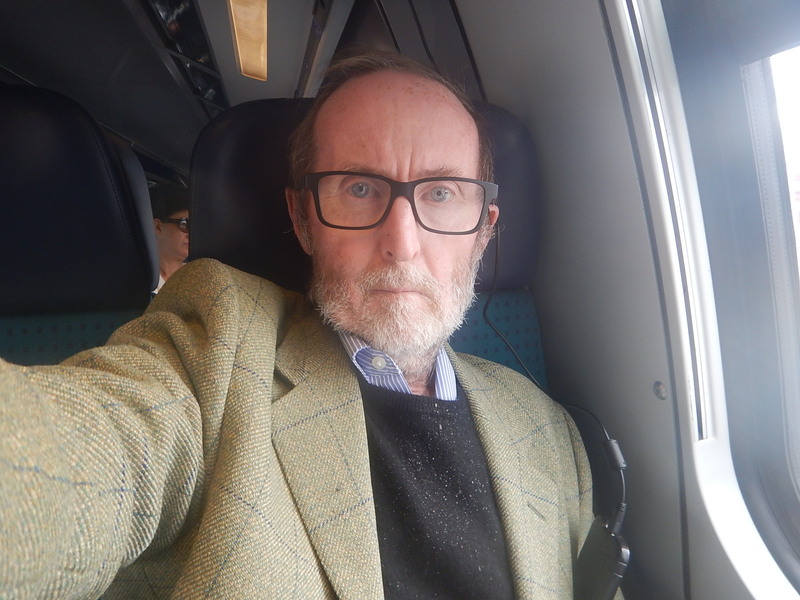 I very much feel that there is a good chance that the Class 321 Hydrogen could turn out to be a good train, powered by a fuel, that is to a large extent, is an unwanted by-product of the chemical industry. It is difficult for me to compare the Alstom Coeadia iLint or even a bog-standard iLint , as I’ve never rode in either. Hopefully, I’ll ride the iLint in the next few weeks. Electric Operation – 321 – Yes – iLint – Not Yet! Range – 321 – 1000 km. – iLint – 500-800 km. Although the Class 321 Hydrogen will be a refurbished train and the iLint will be new, I suspect passengers will just both trains as similar, given the experience with refurbished trains in the UK. In some ways, they are not that different in terms of performance and capacity per car. But the Class 321 Hydrogen does appear to have one big advantage – It can run at up to 160 kph on a suitable electrified line, This ability also means the following. Hydrogen power is not the sole way of charging the battery. On some routes, where perhaps a twenty kilometre branch line, which is not electrified, is to be served, the train might work as a battery-electric train. A smaller capacity hydrogen power unit could be fitted for charging the battery, when the train is turned back at a terminal station and for rescuing trains with a flat battery. The depot and associated filling station, doesn’t have to be where the trains run most of their passenger services. I also suspect that a Class 321 hydrogen could run on the UK’s third-rail network after modification, if required. If you were an operator choosing between the two trains, you would probably find that because of your location, there would be a strong preference for one of the two trains. I also doubt we’ll see iLints running in the UK because of the loading gauge problem. Will the platform height scupper the running of Class 321 Hydrogen trains in Europe? In Riding Docklands Light Railway Trains In Essen, I reported on seeing redundant Docklands Light Railway trains running in Essen. For this reason, I wouldn’t totally rule out Class 321 Hydrogen trains invading Europe!